Planning a vacation in Italy and looking to eat a meal from the top chef in the country? 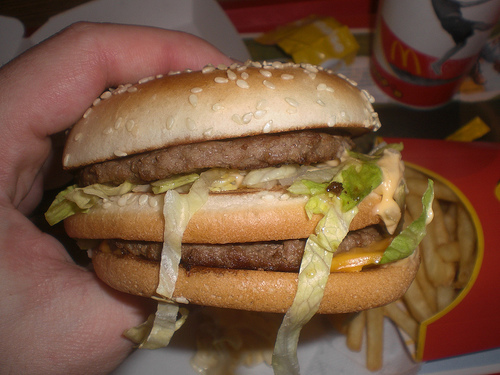 Better learn how to say “Big Mac” in Italian. Gualtiero Marchesi, the first chef in Italy to earn three Michelin stars, announced Tuesday he had created two hamburgers and a dessert for the Italian menu of the world’s biggest fast food chain. “I simply asked what and where young people were going to eat,” said the Milanese master chef. “They were very simple questions which led to my decision to team up with McDonald’s”. The “refined” burgers will be available for three weeks in Italy only, starting Wednesday through November 15. I thought this was going to be a parady, it sounds like such an oxymoron.